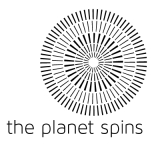 The Planet Spins was a development partner, secured funding and supported this project through assisting with coordination of the 150th year anniversary commemoration events in 2013. 2013 marked 150 years since the first South Sea Islanders were brought to Australia. This initiative aimed to build on work previously done and increase awareness and recognition through an energetic and engaging program of arts and cultural events. In addition it aimed to improve community cohesion and connection and build the confidence and capacity of ASSI artists and the community. Background: Australian South Sea Islanders are the Australian born descendants of people brought here between 1863 and 1904 to work the cotton and sugar plantations, pastoral and beche-de-mer industries. They arrived from eighty Pacific islands, with the majority from Vanuatu and the Solomon Islands. These people were brought to Australia as a source of cheap labour. Many were tricked into coming, others were kidnapped or “blackbirded”. Men, women and children were forced to work long hours, for low or no wages while living in very poor conditions. Between 1906 and 1908 large numbers were deported. Those who remained and their descendants were subjected to ongoing racial discrimination and harsh treatment, including restrictions as a result of government legislation. On 25 August 1994 the Commonwealth Government formally recognised Australian South Sea Islander people as a distinct cultural community. In 2000 the Queensland Government acknowledged the unjust treatment and ongoing social and economic disadvantage endured by the community. To acknowledge the ASSI people and promote their unique culture and valuable contribution, a consortium of south east Queensland (SEQ) ASSI community representatives; SEQ local government and cultural organisation representatives have been working since 2010 to develop a commemorative program of community activities, arts and cultural events. This initiative aims to build on work previously done and increase awareness and recognition through an energetic and engaging program of arts and cultural events. In addition it aims to improve community cohesion and connection and build the confidence and capacity of ASSI artists and the community. The ASSI 150 SEQ Team and Partners are busy making plans for the 2013 Program. Activities are happening right across SEQ.